MSN Sports yet but it could just be that it hasn’t hit the UK store yet. 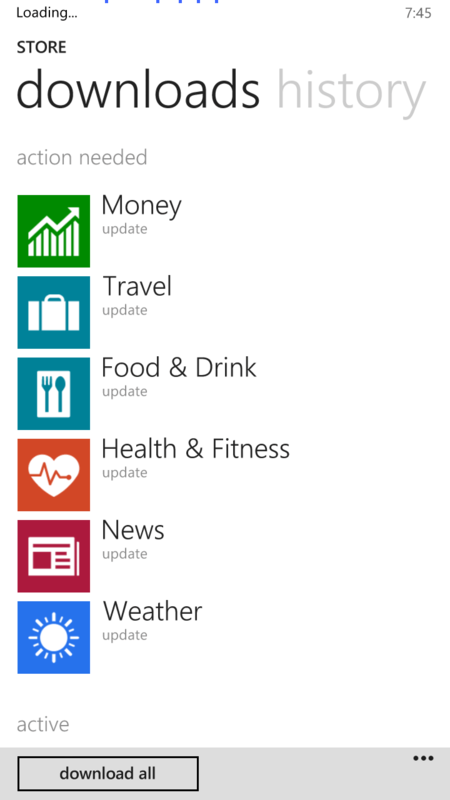 In reviewing the updated apps this morning, I found no significant changes to any of them – good or bad. I did notice that on the initial start of each app after the upgrade that it took a few seconds for it to initialize. I suspect that was doing some backend data updates. However upon starting the apps again, they were zippy as normal. If you notice any changes in the app do leave a comment below and let every know. For now, I guess it is just enjoy the updates! Update: Ashish Mohta, CEO & Editor of WPXbox tweeted me this morning that the MSN apps can now be installed on a SD storage card and do no have to be installed in your phone’s main storage. I tested this on my Lumia 1320 and indeed, all the apps can now be installed on the SD card. Thanks Ashish!